Great home on a huge acreage, very close to the Statesville Airport! 2 Bedrooms, 2 full baths on 2.74 acres. This is two parcels being sold together; 4713-98-4014, and 4713-97-4708. Full two car garage with automatic opener. large driveway with ample parking for at least 6 cars, private back deck, and one big outbuilding /shed on the property. Lovely living room with fireplace, dining, kitchen, and sunroom. Laundry room with plenty of storage cabinets. Big master bedroom and bath with huge garden tub. 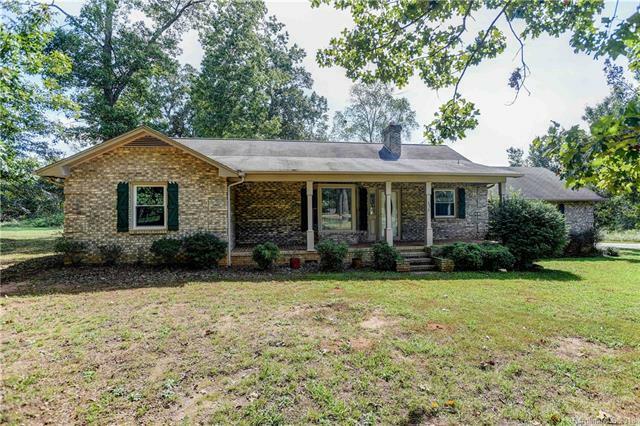 Convenience of Statesville Airport, and 5-10 minutes from Statesville and all the conveniences of shopping Come and see this country home where you can have almost three acres of land!